The University of Rhode Island Honors Program held its third colloquium of the year Tuesday evening, followed by the comedy performance “You’ve Crossed the Line.” The colloquium was given by Teja Arboleda, M.Ed., who was also the co-executive producer and host for the “You’ve Crossed the Line” performance. 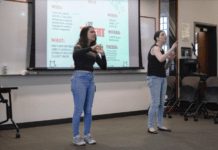 The colloquium focused on the aspects of race, cultural diversity, comedy and how the three can be intertwined. The performance that followed used those same ideas to bring about questions of where the “line” of acceptability exists, and what it means to “cross it.” The program used real-time, anonymous polls to find out exactly how the audience felt about the topics that were covered and joked about. Comedians Wes Hazard, Raj Sivaraman, Sam Ike, and Deb Farrar-Parkman each performed 15-minute sets.The audience was prompted questions after each one. The anonymous results were displayed on the stage and a panel of four judges deliberated over the performances as well. The panel was made up of URI educators and program directors. Farrar-Parkman, comedian as well as co-executive producer, has been working with Arboleda since the 1980s, including a similarly themed show called “You Said What? !”, which helped pave the way to this new performance. “We each came out and did our sets, and then afterwards it evolved into this really deep conversation about race and humor. We realized we had something, and that we wanted to turn it into something else,” Farrar-Parkman said. She explained that the comedians had a mutual understanding that they should try college campuses because college is a place where young people are away from their families and all the “-isms” that they have been raised with. “That was the defining moment for us in terms of what the word [line] even means, and who has the right to say anything,” Arboleda said. 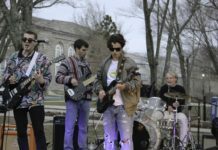 “You’ve Crossed the Line” Â was piloted in February at Salve Regina University. The URI performance was its second show. The first show featured Rain Pryor, daughter of the late comedian Richard Pryor. There are plans moving forward to perform at schools in Chicago, New York City, Boston, Los Angeles, and Berkeley, California. 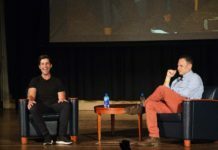 The intent is to involve regional comedians, who may be able to offer a strong connection with audiences of that area. 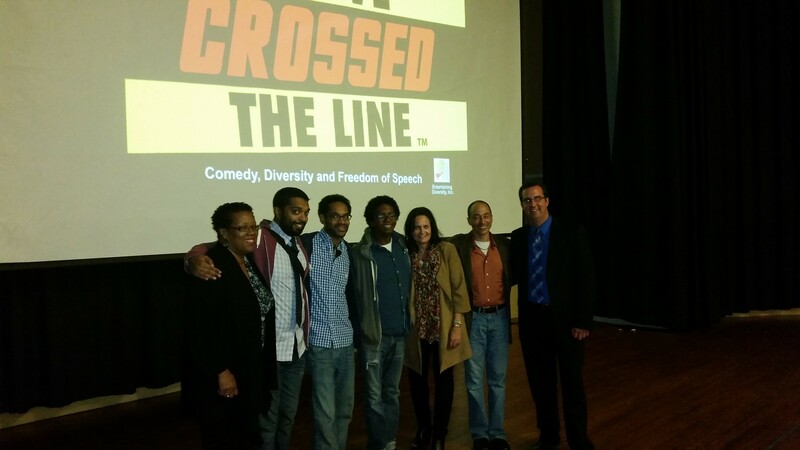 “You’ve Crossed the Line” is presented by Entertaining Diversity, Inc., Arboleda’s company. The company aims to “address issues of culture and identity that reflect our changing demographics.” More information about “You’ve Crossed the Line” can be found at http://www.entertainingdiversity.com/yctl.html.